Spanish international defender "Gerald Pique" said superstar team-mate Lionel Messi is one of the "biggest trolls" he knows. The Argentina and Barcelona's all-time leading goalscorer who has a five Ballons d'Or and other honours, is perceived to be a shy character by the public. However, Pique who is often outspoken to media men made a revelation about the Barcelona captain. 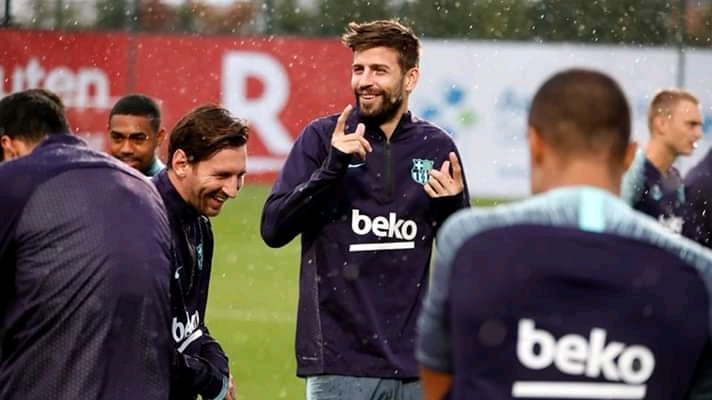 "Messi has very ironic humour, he's one of the biggest trolls [I know]," Pique said on Movistar+ show 'La Resistencia'. The defender has stepped away from duty with the Spanish national side and has claimed that his time away from La Roja has helped his performances at the club level . Messi has enjoyed another fine season for La Liga champions Barca as they prepare to return to action following the international break.